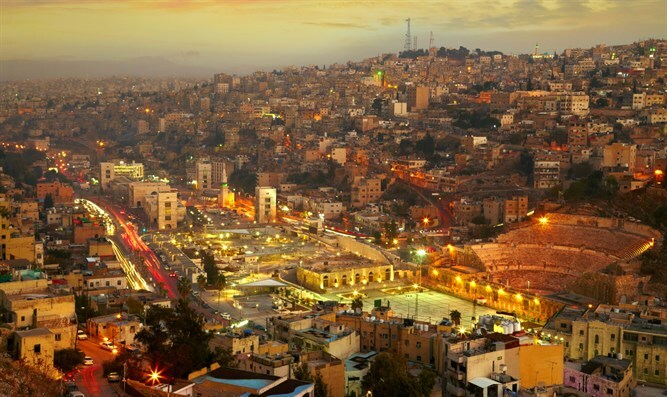 Senior embassy official wounded in terror attack in Jordanian capital. Terrorist shot and killed. An Israeli security official serving in the Israeli embassy in Amman, Jordan, was wounded Sunday night when he was attacked by a terrorist in his home adjacent to the embassy. Two Jordanian men were killed in the incident, including the suspected terrorist. Local police have released few details of the attack, referring only to an unspecified “incident” at the embassy compound. At this time there are still conflicting reports regarding the details of the attack. According to a report by the Hebrew daily Maariv, the attack took place while furniture was being moved into the home of the deputy security officer of the embassy. According to the report, one of the two Jordanian workers moving the furniture in sneaked up behind the deputy security officer and stabbed him with a screwdriver. After he was wounded, the Israeli official opened fire on the terrorist and neutralized him. The attacker later died from his wounds. It is unclear what condition the Israeli official is in following the stabbing, with some reports stating that he has been listed as light-to-moderate and stable, while others claim he was seriously wounded and that his condition has not stabilized. The Jordanian owner of the home was wounded as well in the attack and later died of his wounds. Security forces converged on the Israeli embassy and placed the area on lock down. The suspect’s car was searched by security teams after the attack, according to a report by the Independent. Prime Minister Binyamin Netanyahu spoke on overnight Sunday with Israel's Ambassador to Jordan, Einat Schlein, and with the deputy security officer. The Ministry of Foreign Affairs and Israeli security forces are discussing the incident with the Jordanian government. Three years ago, eight terrorists with ties to the Hezbollah terror group, were charged over an attempted attack on the Israeli Embassy in Amman. Anti-Israeli demonstrators in the Jordanian capital have targeted the Israeli embassy over the past week, protesting against security measures outside of the Temple Mount put in place by Israeli police following last week’s murderous terror attack near the holy site.